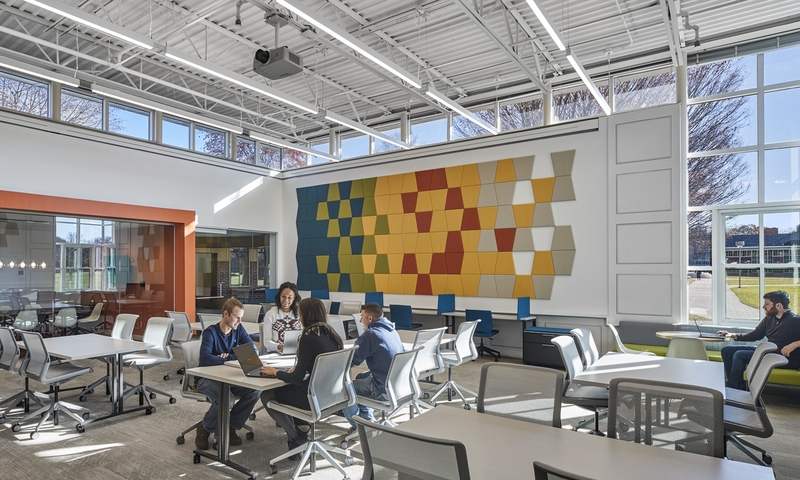 When it came to the renovation of a language lab at the University of Virginia, Jennifer Greenhalgh, owner of Jackson + Park Design faced a challenge: To create an acoustical design to help absorb the voices and add an artful element to the space. 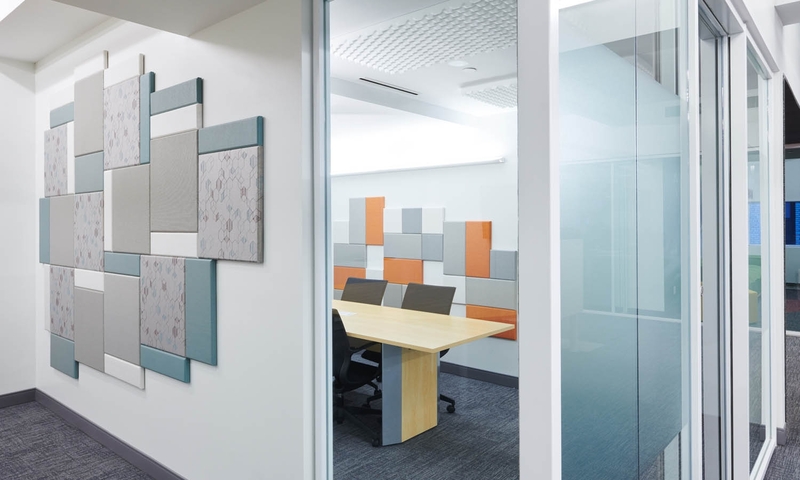 When tech company, R3 moved into a new space they quickly realized the existing conference rooms were in need of an acoustical solution that also made an impactful visual statement. 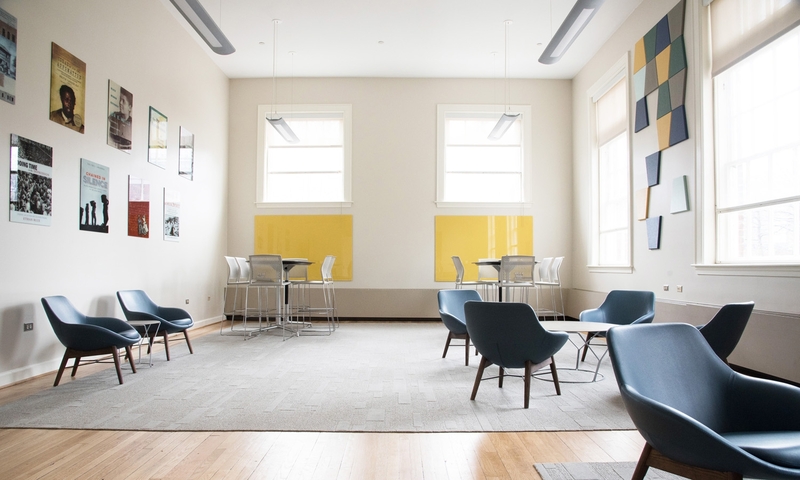 When Ametna-Emma was tapped to renovate the Innovation Center at the Quinnipiac Lender School of Business, one of the primary goals was to use color and materials to inject a sense of energy and interaction between students. In addition to a graphic color statement, it was important that the materials offer an acoustic solution due to the collaborative nature of this space.